Current news: March 2018... We are now taking preseason orders! Welcome to Hood River Garlic! This is our 17th Year! We have started taking preseason orders for the 2019, fall garlic planting season. All orders placed now will be shipped starting in mid September, 2019. If you live in the north, please order before June for an early ship date. Thank you! 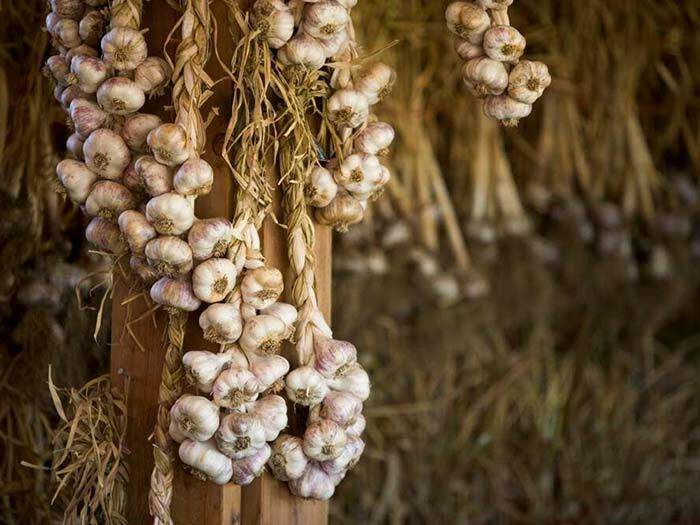 Specializing in certified organic garlic seed for planting garlic in your own garden, Hood River Garlic is a certified organic garlic farm located in the beautiful Hood River Valley, Oregon, USA. We take great pride in growing garlic and strive to sell our customers the best organic garlic seed available. Dedicated to environmental sustainability we have always been organic and became Certified Organic by the Oregon Tilth in May, 2002. This is our 17th year being Certified Organic! All Hood River Garlic is grown in The Columbia River Gorge, from U.S.A. grown organic garlic seed stock. All orders placed now will be shipped starting in mid September, 2019. All Hood River Garlic seed is Certified Organic by the Oregon Tilth. We have started taking Pre-season orders for the 2019 fall garlic planting season. Garlic scape season is in June. Please call or email for garlic scape availability. See our garlic recipes like Garlic Butter and Garlic in Olive Oil. ​I’ve ordered garlic before from your company and it is high quality, I was very pleased with what was sent. I like to try a wide variety to see what works best here, not only for growing but for storage. Hi Terri! We love y’all’s garlic – the softnecks we get always grow quite well here. We had a very weird, early harvest season for the garlic here. It’s been very wet, so it grew really well very quickly. – I’m glad we’ve got a great company like Hood River to order from. Thanks again! I am in love with all my garlic plants. My facebook friends are probably sick of hearing how much we have been enjoying our scape pesto. When I was getting slim on garlic scapes I also added radish leaves and horseradish leaves to help it go a long ways. We know the best still is yet to come, I look forward every year to grow my varieties and to buy a few more new ones from you. Up until today, we had no bare ground around our little piece of earth. Temps in the 60s made a difference and the world is awash with water. We loved the garlic we got from you. It produced very well with great quality, and we are looking forward to this years crop!